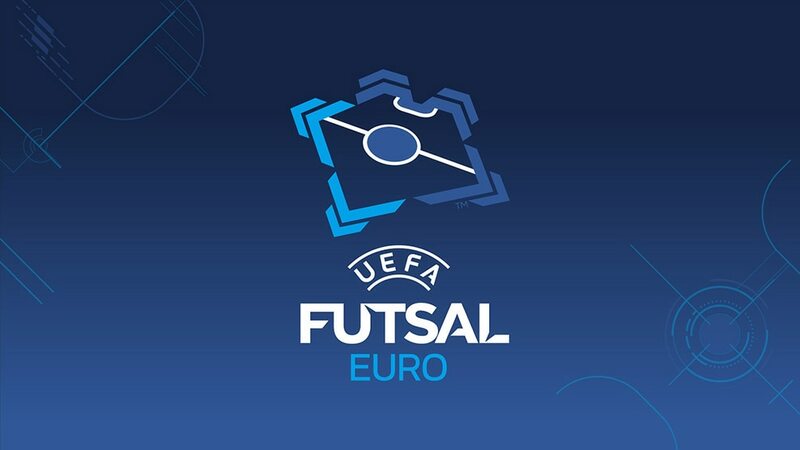 After eight consecutive days of action, four teams are left at UEFA Futsal EURO. Reporter Paul Saffer reflects on the key lessons from an outstanding event in Belgrade. There were two questions going into the tournament: could Ricardinho live up to his reputation as Europe's futsal star, and would that finally win Portugal a title? The answers – yes (and how), and no. His opening was special enough, a back-heel to bring up his 100th Portugal goal to kick-start a hat-trick which beat Slovenia 6-2. Then against Serbia, Ricardinho equalised with a goal some called the best the tournament had ever seen, drawing an ovation from the home fans that had previously whistled his every move. However, that was lost 3-1, so Portugal had a quarter-final with Spain, who won 6-2 despite two goals from Ricardinho, the second as special as that against Serbia. Ricardinho's presence got the Serbian crowd behind Portugal, and at the end he took to the pitch one last time to tearfully take the acclaim of his new fans. He leads the adidas Golden Shoe race on six goals, but the man Spain coach José Venancio López said was "from another galaxy" is out. Most cannot wait for the 30-year-old, a star for more than a decade, to lead the bid of UEFA Futsal Cup finals hosts Inter FS in Guadalajara in April. 'O Mágico' has not had the monopoly on outrageous goals. There have been plenty more special moments, Alex's double lob to put Spain 3-0 up against Portugal and Alessandro Patias's cool back-heel to seal Italy's 7-0 defeat of the Czech Republic to name but two. Even of the other eliminated teams, Hungary's Zoltán Dróth and Croatia's Franko Jelovčić have rightly had their time in the limelight. Serbia's Arena Belgrade crowds of 11,000 against Slovenia and 11,161 versus Portugal were both UEFA Futsal EURO group-stage records and then on Monday it was again a capacity 11,161 to watch the hosts defeat Ukraine 0.3 seconds from the end of their quarter-final, again a best for that round. They have been loud, partisan and but fair-minded – as Ricardinho can testify – and Serbia's progress means that the home team still have games on both Thursday, against Russia in the semis, and on Saturday's finals day. Russia were many people's pre-tournament pick but their progress has rather been under the radar; a narrow 2-1 defeat of Kazakhstan, a 2-2 draw with Croatia where they nearly fell out of the tournament and a lop-sided 6-2 against Azerbaijan in the quarter-finals. There have been some great moments – two combinations in a minute between Dmitri Lyskov and Romulo for the goals against Kazakhstan, Sergei Abramov's volley versus Croatia, and Eder Lima's hat-trick – but generally Russia have not shone like the other semi-finalists. Yet they are favourites to beat Serbia, just as they saw off hosts Croatia in front of a 14,300 full house in 2012 in Zagreb, and reach a third straight final. A difficult team to beat, they could add to their 1999 crown. Spain's nine-year reign was ended in 2014 by Russia in the last four but they now look favourites to regain the title, especially as they play a Higuita-less Kazakhstan in the semi-finals. Their strength in depth is second to none and José Venancio López's side have added an attacking prowess which is even more impressive considering how many forward players were ruled out just before the tournament through injury. Venancio López said after their quarter-final against Portugal: "The more difficult things are, the better the reaction of the team. This team has character and unity, we are a team that love futsal and want to make it bigger. We have an attacking style, so this is a great victory." Aside from spectacular goals, the talking point in Belgrade has been the use of Kazakhstan keeper Higuita as a fifth outfield player for the finals debutants by coach Cacau, who has won two UEFA Futsal Cups with Kairat Almaty using the same tactic. Higuita is suspended against Spain on Thursday but Cacau says Kazakhstan's way of playing will not charge. While the use of a flying goalkeeper to keep possession early rather than chase an equaliser is not new, Higuita's outfield ability means Kazakhstan can play this way for large stretches with less risk, making it hard for opponents to get the ball and, some say, killing the game. Cacau has responded to criticism: "Some people say that it is an ugly thing to watch but Higuita is an idol to a lot of people and we don't only win due to him. We have a lot of good players who help us win and when we lose no one talks about him, only if we win." Certainly, Higuita's unique combination of goalkeeping and outfield ability means that few other teams are in a position to play that way, even if they wanted to. Whether Kazakhstan can do so will become clear on Thursday. Kazakhstan 5-2 ItalyThe finals debutants knocked out the holders but will be without goalkeeper Higuita for their last-four tie with Spain on Thursday. "The Leo Messi of futsal", "from another galaxy", scorer of "the most beautiful goal of the century" – why Portugal hero Ricardinho is so special from those who know better than most. Two days on from his stunner against Serbia, Ricardinho produced another sensational goal as Portugal lost their quarter-final to Spain. Watch the 'Magician's' goal now.